Ah, thank goodness. 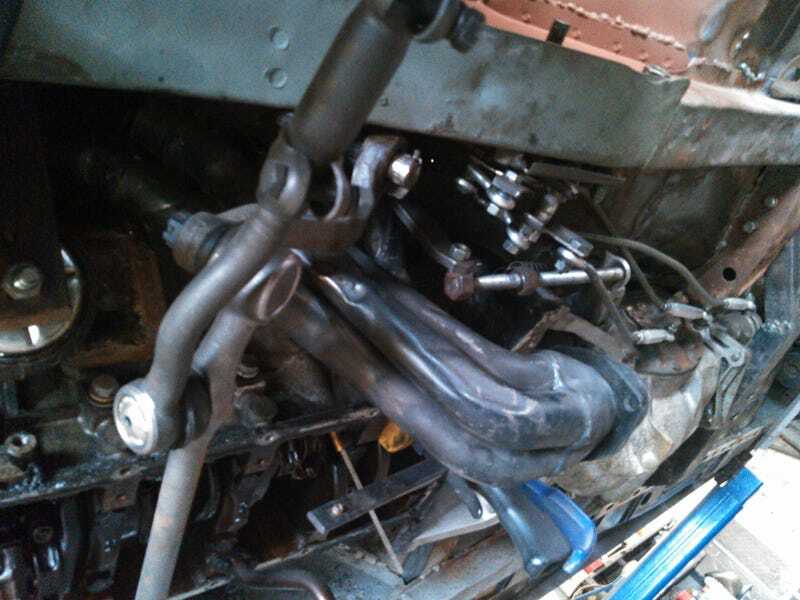 The lower trans linkage is done. The space on the left side of the Ranchero’s engine has a motor mount, clutch z-bar, exhaust, suspension tower, clutch lever, clutch rod, steering box, steering arm, firewall, shift levers, shifter relays, and six shifter rods all fighting for primacy. Now that I’ve got the lower shifter links done, I just need to do the upper ones and bore a hole through the oil pan for the steering linkage. Remind me again why I decided to install the engine here?